Another blistering hot day in the Pyrenees on today’s 167 km stage, which tested the riders to their limits and delivered contrasting fortunes for Vossi’s teammates. The day started badly with news Dominik Nerz would not start due to struggling with severe stomach problems. On the other hand Emu Buchmann did his team proud with an impressive third place finish. Vossi came in 71st. But the drama was not yet over for the day. Zak Dempster fought to the end and was last man on the road, coming in 45’47 down on the stage winner. Initially Zak thought he missed the tine cut-off and would be eliminated. 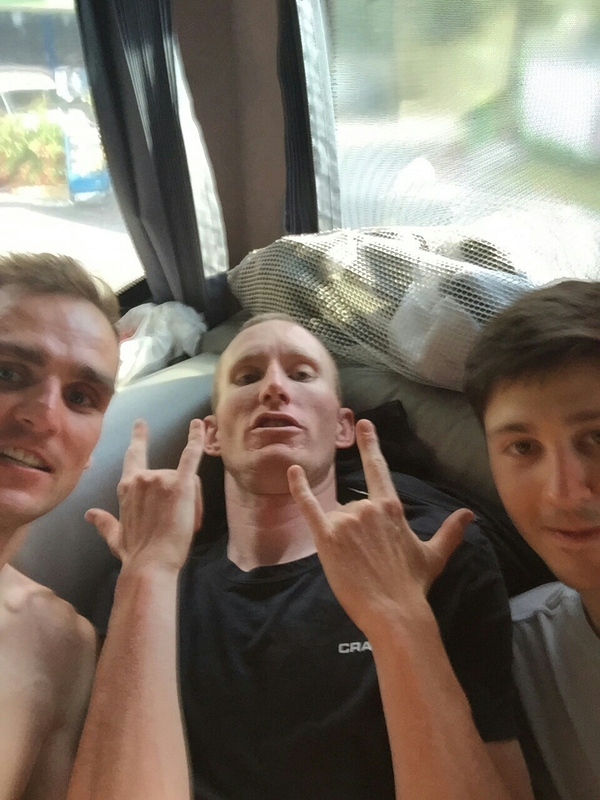 The photo shows the reaction to being told that the organiser will allow him to start stage 12 tomorrow. Keep fighting boys. Allez Vossi!